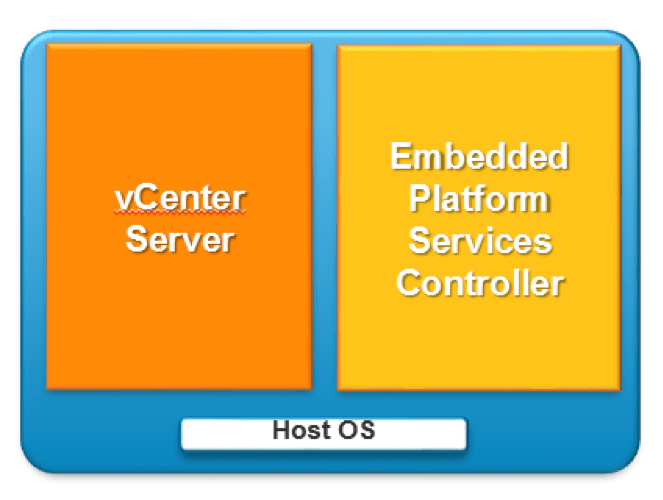 The embedded PSC is meant for standalone sites where vCenter Server will be the only SSO integrated solution. In this case a replication to another PSC is not necessary. Aimed at minimizing fault domains. Use in conjunction with only one of VMware Product or Solution. In this configuration the PSC is external to the vCenter Server. This configuration allows multiple vCenter Servers to link to a PSC.